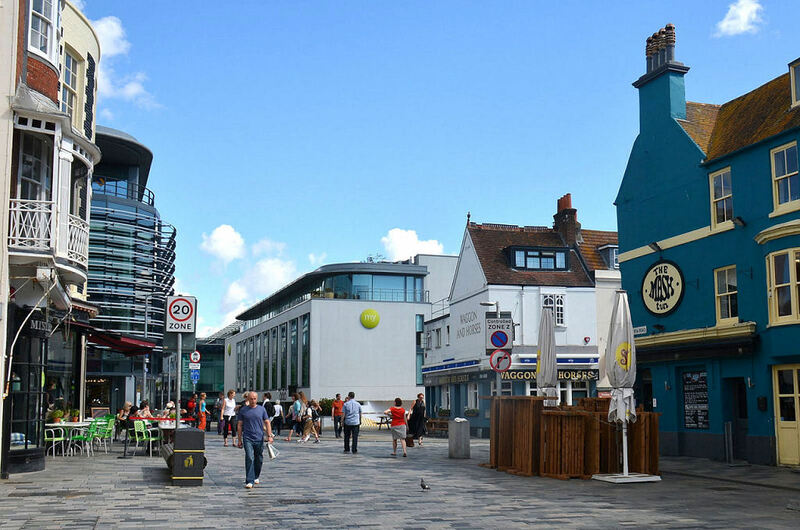 This collection of photographs gives a glimpse into the progression, or not, of the development of Jubilee Street and subsequent £50 million scheme to regenerate the area which has the Jubilee Library, opened in 2005 by the Princess Royal, as its centrepiece. 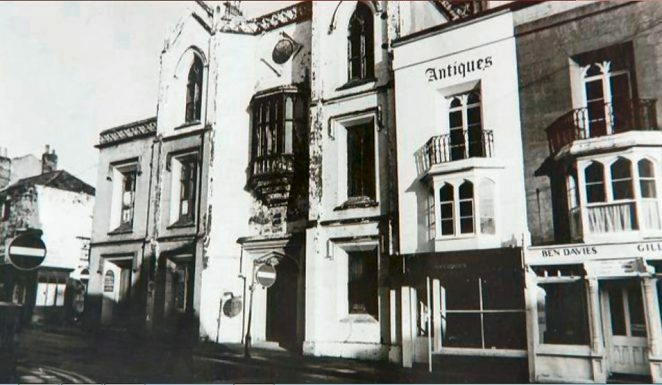 Jubilee Street was acquired by the Council as part of the Regent Street Compulsory Purchase of 1957. 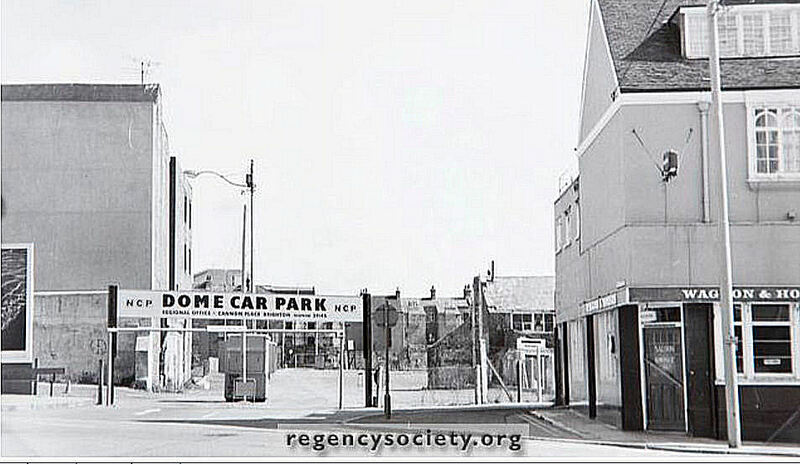 The first was taken in 1971, just before the Central National School, on the left, was demolished. This act of vandalism led one eminent commentator to describe it as the greatest architectural crime to have been perpetrated in Brighton. A wonderful building destroyed; all in the name of road widening. Photograph number two shows the scene when the Central National School had been demolished, leaving the two houses with oriel windows on the corner of Jubilee Street; they were subsequently demolished in 1972. 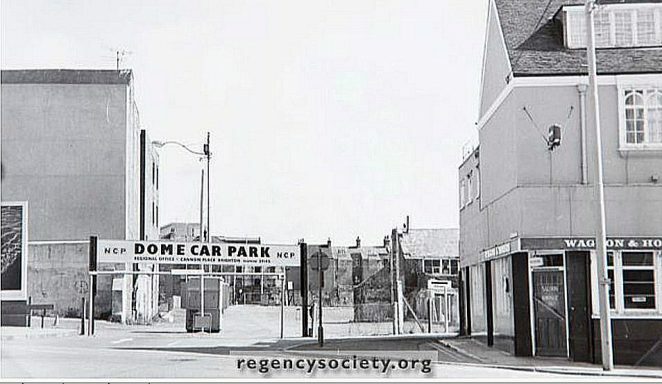 When these buildings had been removed the area became a car park and remained so for thirty years, as the following two photographs show. The final photograph shows a view of Jubilee Street from New Street today. Click on any of the photographs to open a large version in a new window. What a shock to see this scene again after forty odd years! The small shop, Ben Davis/Gillard, was in fact rented by my aunt and her partner, who lived in Wykeham Terrace at the time. They sold a variety of musical instruments from there, but mainly violins. I only visited the shop once from London, with my then girlfriend, on a very hot sunny day like the one pictured above. Ben had been a successful novelist in the 50s under the exotic and alliterative pen-name, Leopold Louth, but had gone into flower sales, which was how he met my aunt, who had a shop nearly opposite the town hall in Hove, selling vegetables and cut flowers. I think that is a take-away of some kind, now. I don’t believe the musical outlet lasted too long however, and may even have moved before ceasing to trade. I fear at 91, my aunt, who now lives near Truro, would not recognise the place due to memory problems; perhaps just as well given what has replaced it! What is it, by the way? The irony of it all is plain to see in the last photograph. 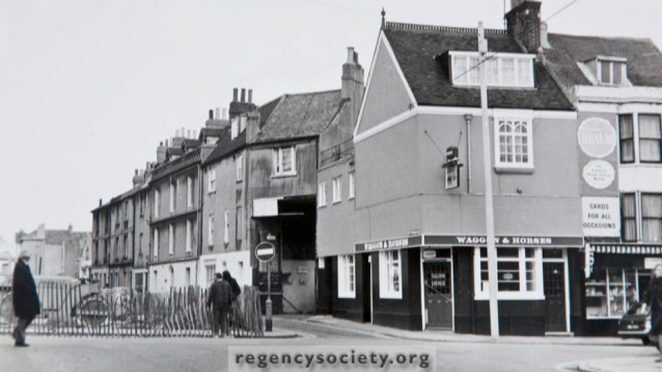 The area is now much more pedestrian friendly, and the road widening which gave rise to the demolition of the Central National School was not really needed. 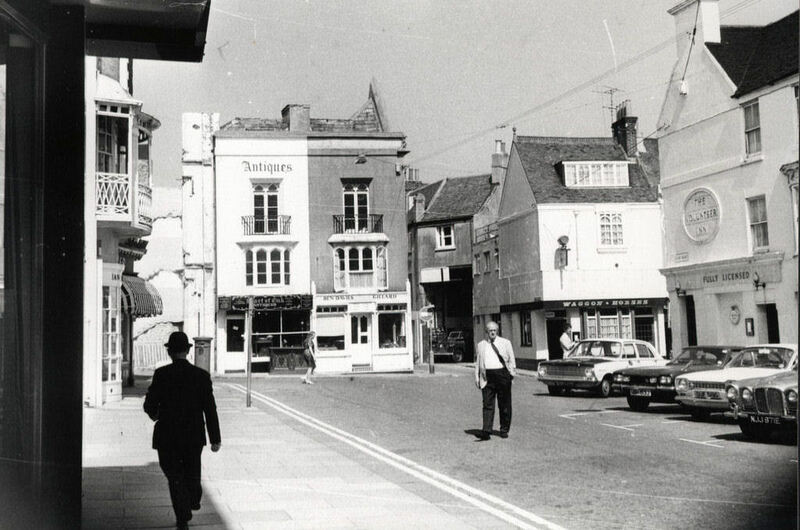 Does anyone remember the Crownshades pub in Jubilee Street in the late fifties and sixties? My grandparents and then parents ran it.